To be eligible to win the club championship you will need to run a minimum of 5 of the 6 individual AV races (3 out of 4 for the juniors). 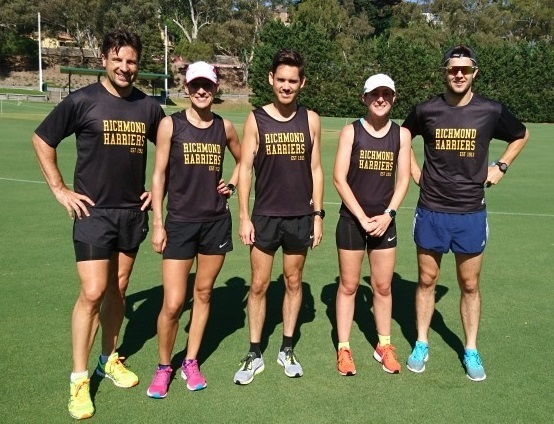 The first placed Richmond runner will score 20 points, second 18, third 17, fourth 16 etc. until we get down to 1 point. If you start but don’t finish, it will count for eligibility, but you only get 1 point. We then take the best 5 of your 6 finishes (3 of 4 for juniors) to calculate your total points in the championship. On top of this, you must run in a minimum of 2 of the 4 AV relays, and compete in at least 2 of the 6 club events for the season. Athletes need to have completed a minimum of 50% of rounds in a shield season (which for this season will be 6 rounds as long as this week goes ahead) and the top 6 events are counted (with no requirement of having completed a relay). Whilst Victorian and national championship events can improve on your seasons best, events that you have not done at shield can not contribute to your points tally.